El Dorado, Venezuela - More than 1,200 Indians from the Imataca and Gran Sabana regions are now gathered at kilometer 16 blocking all traffic along the only highway between Venezuela and Brazil. They are protesting a high voltage electrical transmission line being built through their rainforest homeland in violation of international and Venezuelan law. 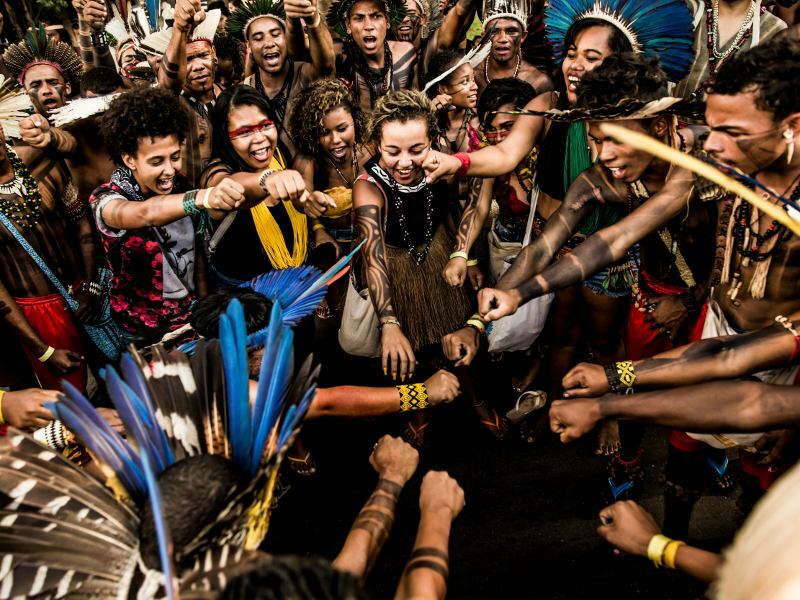 El Dorado, Venezuela - For the fourth time in the past week, Over 800 indigenous people of the Imataca and Grand Savanna regions are gathered at kilometer 16 of the only highway between Venezuela and Brazil protesting a high voltage electrical transmission line being built through their rainforest homeland. El Dorado, Venezuela - Just shortly after 1:30 PM (EST) today, nearly 1,000 Pemon Indians of the Imataca and Grand Savanna regions began a blockade of construction crews on the only highway between Venezuela and Brazil. They are protesting a high voltage electrical transmission line being built through their rainforest homeland in violation of international and Venezuelan law. Ciudad Bolivar, Venezuela - The Indigenous Federation of the State of Bolivar said on Friday that hundreds of Pemon Indians are prepared to resume protests over the high voltage power line to Brazil this week pending talks with the Government. Last week, approximately 800 people from five different indigenous tribes blockaded the only road link between Brazil and Venezuela for two days. El Dorado, Venezuela - The Indigenous Federation of Bolivar State reported that since 6:00 am, Monday morning, July 27, more than 800 members of the indigenous communities of Imataca rainforest and the Grand Savanna have been blockading the International road that connects southern Venezuela to Brazil. Santa Monica, CA - An U’wa tribal leader has traveled to Los Angeles from the rainforest of Colombia in order to attend the annual shareholder meeting of the Occidental Petroleum Corporation. 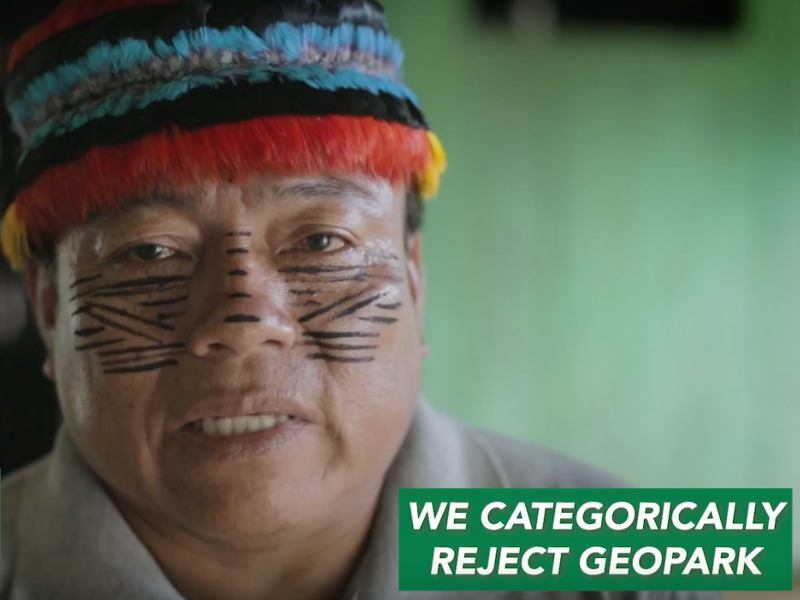 The U’wa, a traditional community of 5,000 indigenous people who live in the Colombian cloudforest, have vowed to walk off of a 1,400 foot cliff in mass suicide if Occidental Petroleum drills on their sacred ancestral homelands. Los Angeles – Seven people were arrested this afternoon in front of the LA headquarters of the Occidental Petroleum Corporation (Oxy), protesting the company’s plans to drill for oil on U’wa peoples homeland in Colombia. In a full-page ad appearing in the New York Times today, an international coalition of twenty-seven environmental, human rights, and religious organization warned that Occidental Petroleum’s "Samoré" oil project is a death sentence for the U’wa people. 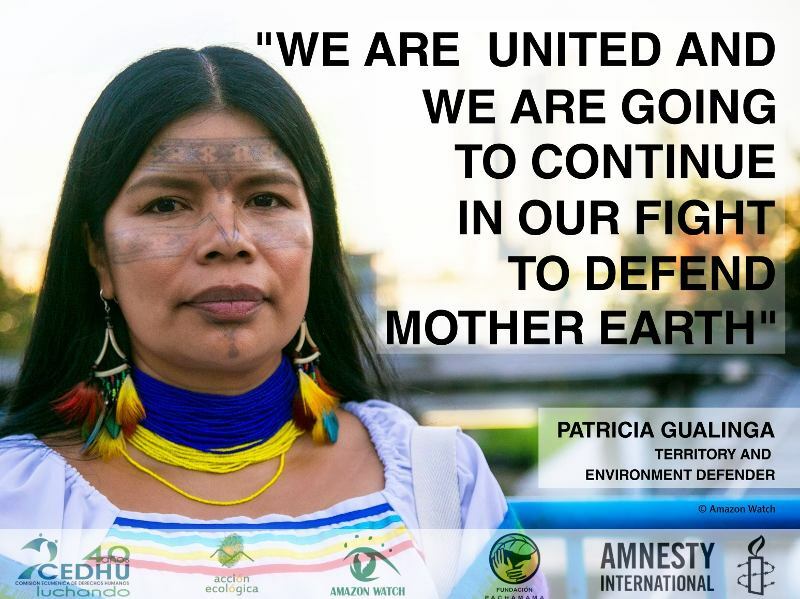 Atlanta, Georgia - Demanding an end to "fast-track" destruction of the Amazon and the Earth's climate, environmentalists today disrupted a US government-sponsored conference designed to promote US investment in Latin America. In protest of Clinton's request for "fast-track" authority, activists unfurled a banner and sounded off alarm bells inside the conference room this morning at the Westin Peachtree Plaza Hotel. Roberto Cobaria, President of the Traditional U’wa Authority, an indigenous tribe from the Cloud Forest joins scores of demonstrators and other concerned members of the Los Angeles environmental, human rights, religious, legal and academic communities calling on Occidental and Shell International to abandon plans to drill for oil on U’wa lands.